Unforgettable Fall Recipes with Coffee – A Seasonal Collection of Gourmet Recipes for Coffee Cakes, Sweets, Warming Coffee Drinks and Coffee-Based Cocktails. This post is linked to Gricefully Homeschooling. My shopping trip to Publix – $125.25 Saved! So I went to Publix last night and had one of the most successful shopping trips I’ve ever had there. 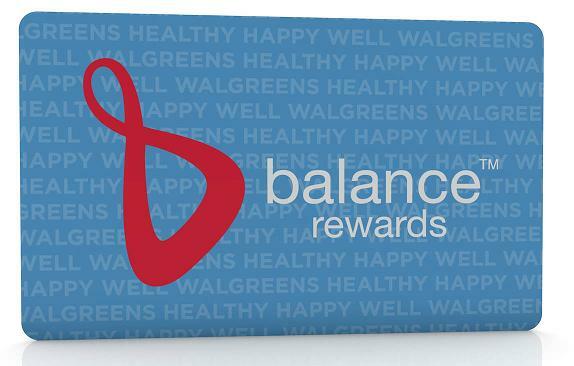 I was somewhat skeptical about this program first and Walgreens move away from Register Rewards. So for the first three weeks of this program, for every $1 I spent at Walgreens I got $.53 cents back. This is a pretty decent deal. Another nice surprise is that almost all of these items I regularly use. Not sure what I’m going to do with my stockpile of Robitussin, but you never know when that may come handy. How They Did It: 25 bloggers, authors and writers share all their secrets about earning a living and how you can do it too. Most people say you should save the money on Disney until your kids can remember it. I’ve been taking my children to Disney World since we moved to Florida in 2005. 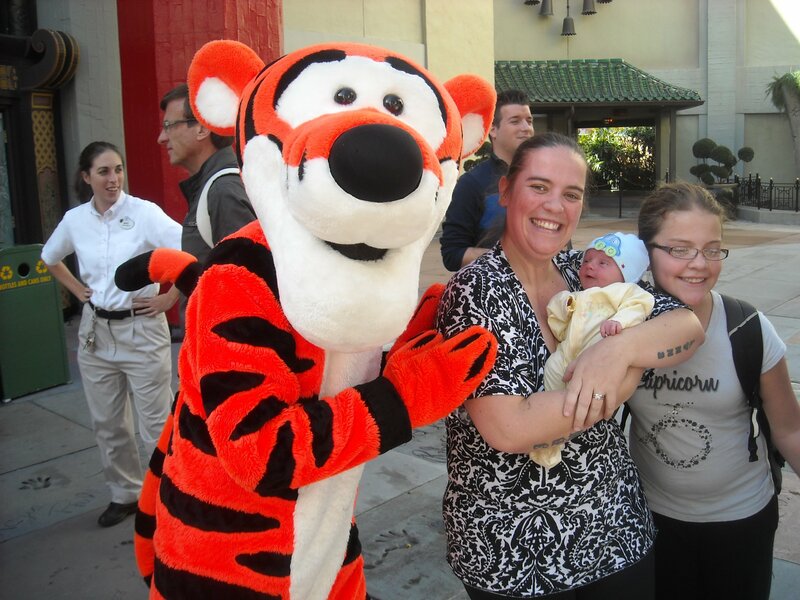 When my son was born in January 2011, we were at Disney 10 days later. This trip wasn’t really for the baby, it was for my two older children that got to step in as midwives when I suddenly went into labor at home while my husband was at work. It was a great trip and Disney World has many features that can make traveling with your small child easier and more memorable for everyone. As my son has grown and is now closing in on his second birthday, Disney World has become even more magical. Our last trip really showed how excited he is about seeing the Disney characters he recognizes and enjoying the various rides. Our First trip to Disney after the birth of our third son. 1. Magic Kingdom – By far, Magic Kingdom presents the most bang for your buck with a toddler or baby. 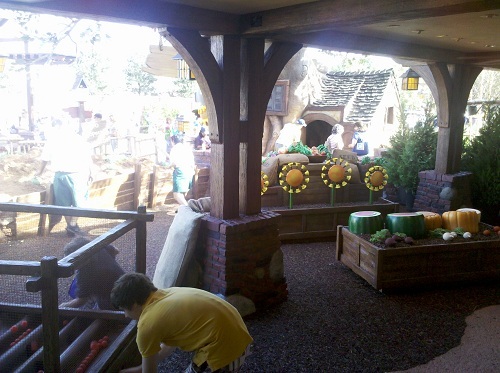 With the new expansion of Fantasyland, there is so much for a small child to enjoy. Pooh’s Thotful Spot and queue to the Many Adventures of Winnie the Pooh is a great spot to chill out with the small kids for alittle while. 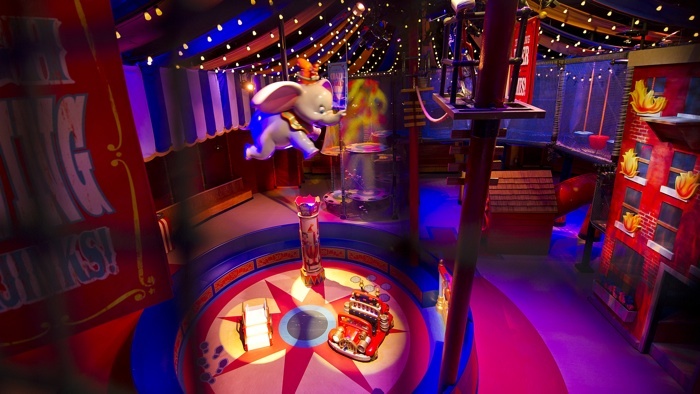 There is also a new play area in the queue for Dumbo’s dueling flying elephant. 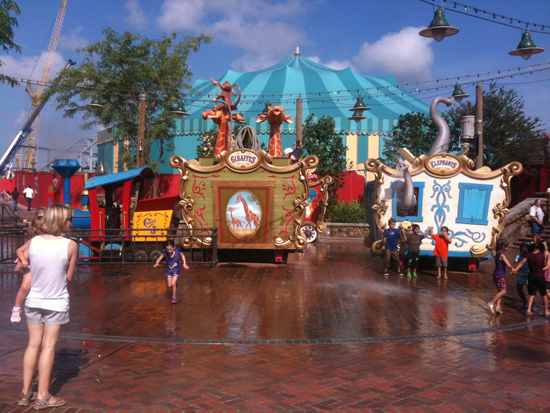 On hot days, pull out the Lil Swimmers and enjoy the new Casey Jr Splash N’ Soak. 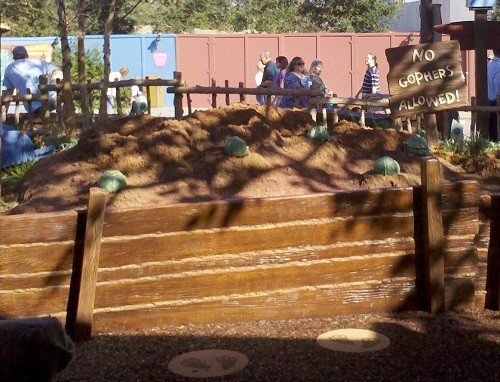 There is always the classic Fantasyland rides for your young children to enjoy. 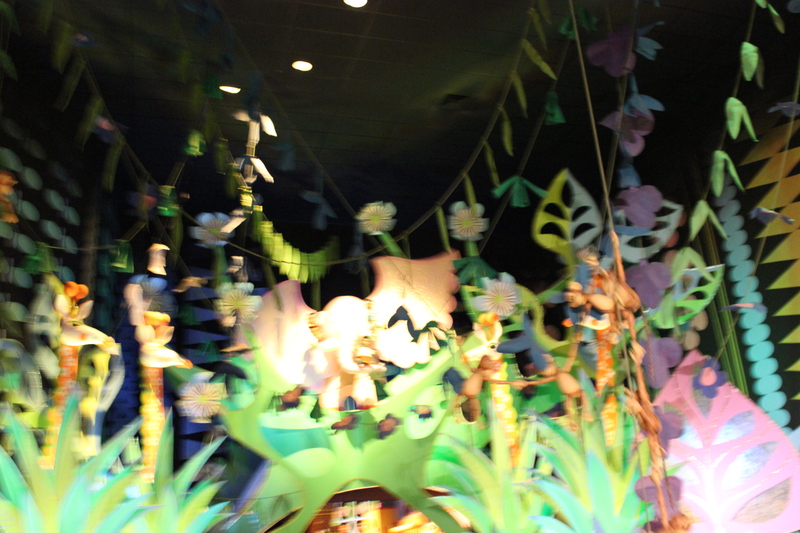 Don’t forget Peter Pan’s Flight, Small World, Snow White and the carousel. In Tomorrowland, don’t forget to enjoy the robotics of “Carousel of Progress”, PeopleMover and Monster’s Inc Laugh Floor. In Frontierland, we’ve taken our son on Pirates of the Carribean, Hall of Presidents, Haunted Mansion and seen the Country Bear Jamboree. 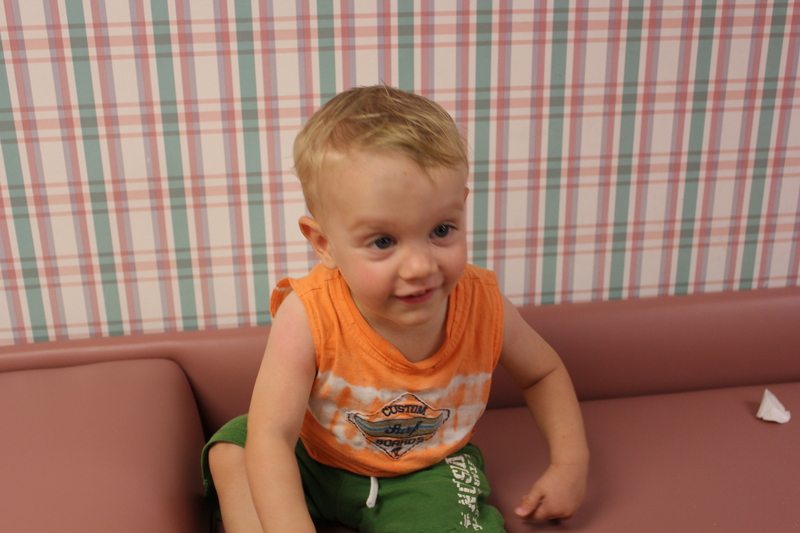 The baby centers at all the parks are a great place to stop and take alittle break when needed. 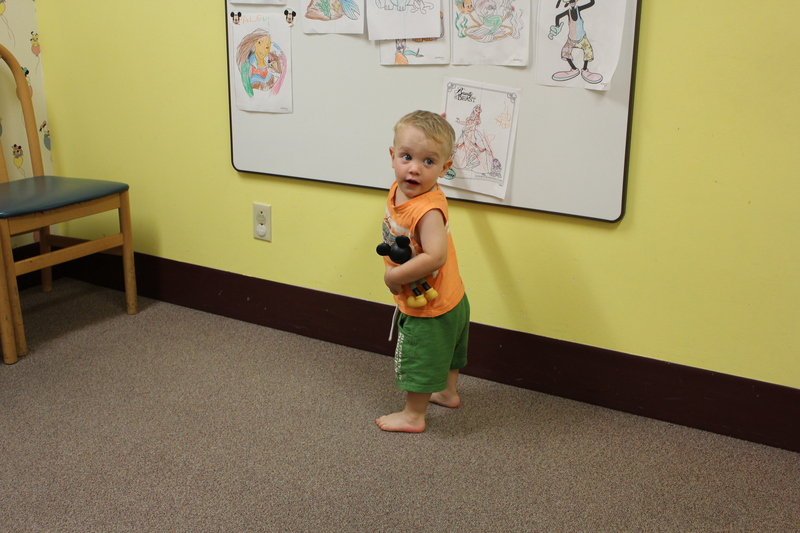 There are changing areas, nursing rooms and a play room with a TV playing a movie usually. There are usually coloring activities and other toys available to play with. The baby center is also fully stocked with diapers, clothes, Desitin, blankets that can all be purchased. This can be a great escape from the hustle and bustle. 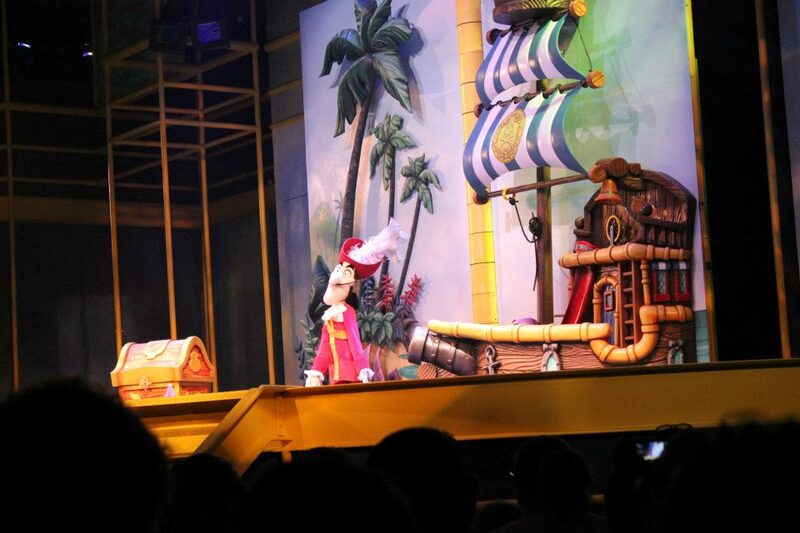 The stage and street shows at Hollywood Studios are a great adventure when traveling with small children. 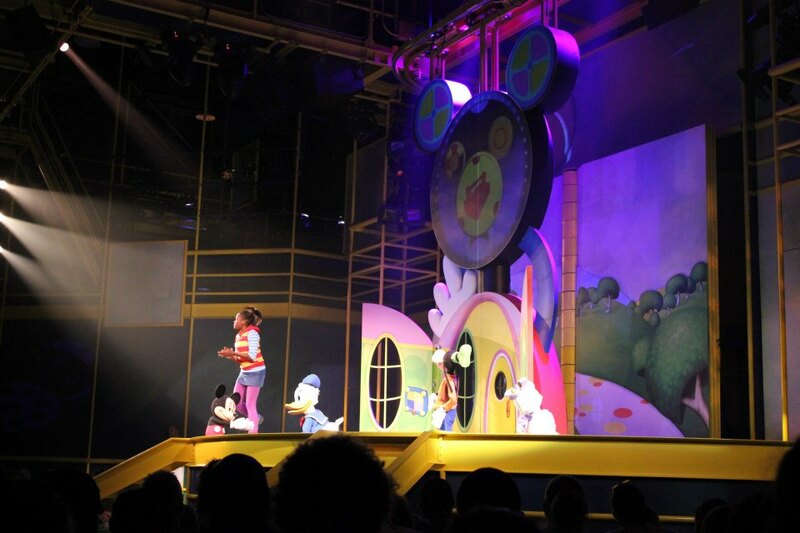 The Disney Junior Live on Stage show is a great attraction. My toddler was mesmerized by his favorite Disney characters here. Mickey Mouse Clubhouse, Little Einstens, Handy Manny, Jake and the Neverland Pirates help Mickey and the gang surprise Minnie for her birthday. This show is displayed while sitting on the floor. Get in line early for this one to grab a good seat! 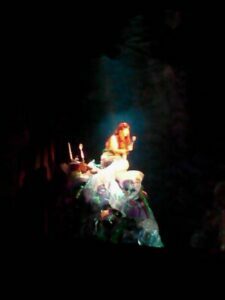 Right across from the Disney Junior Show is the Little Mermaid show as well. Catch the great songs from one of the best Disney movies of all time and some great black light display in “Under the Sea”. 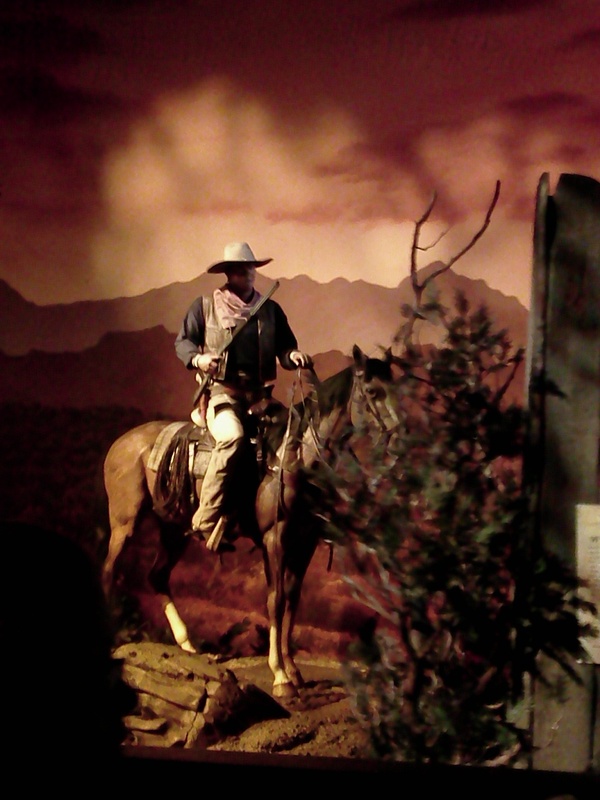 A great ride to relax, beat the heat or escape from the crowd is the Great Movie Ride just behind the big hat. Here you become part of the movies with a slow moving Journey through many classic Hollywood films like Wizard of Oz, Indiana Jones, Singin in the Rain and Public Enemy. 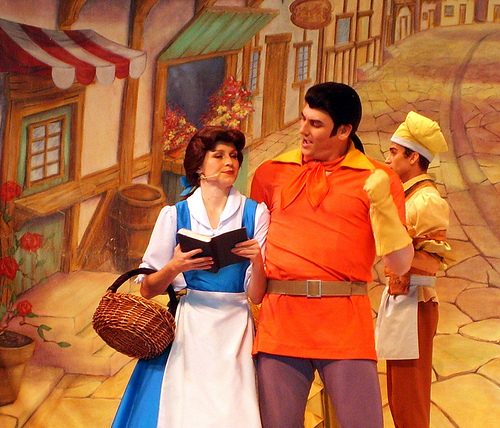 Also, don’t miss Beauty and the Beast at the Theatre of the Stars or Fantasmic! Fireworks display! 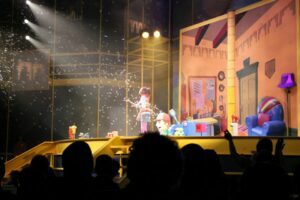 While Epcot tends to be more of an “Adult” park, there are some great experiences here for younger children. Ellen’s Energy Adventure is a great slow moving ride through time where we learn about fossil fuels and how energy is used. It’s air conditioned, cool, and normally very little wait time. 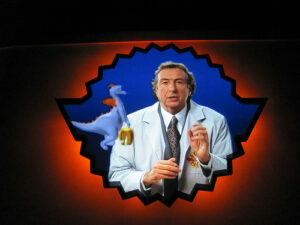 Journey into Imagination with Figment has great music and entertaining scenes for children of any age. Another great slow moving ride with little wait. 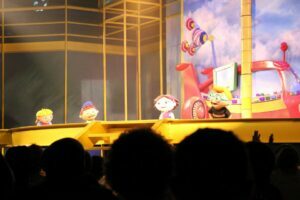 The Seas with Nemo and Friends – Big tanks, big fish and big fun! My toddler loved the tanks and seeing all the fish swimming around! Also, don’t forget Turtle Talk with Crush! 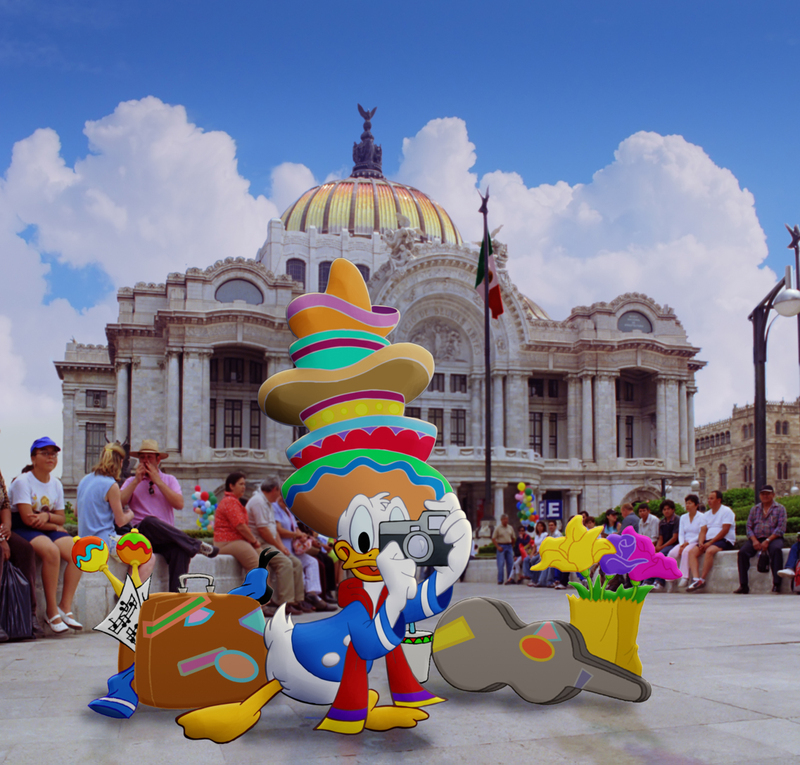 Gran Fiesta Tour Starring The Three Caballeros – Join Donald Duck and his Cabelleros friends on a great boat ride similar to it’s a small world at Magic Kingdom with robotic children and great music! Entertaining for the whole family! Illuminations is my all time favorite fireworks display at Disney. If your little one is ok with the sound, check it out if you can! Where to begin? 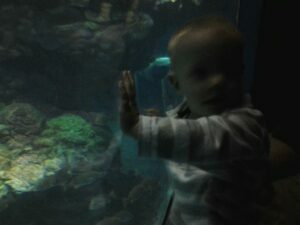 There’s lots of animals and what kid isn’t fascinated with that! 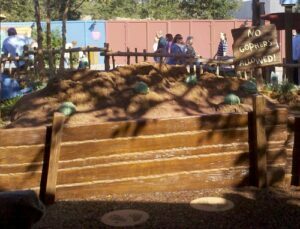 The many animal displays around the park are fantastic. 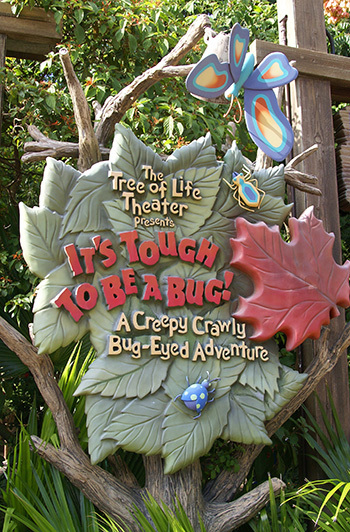 It’s Tough to be a Bug – There’s alot of loud sections of the video in this attraction, so if your child is sensitive to noise, you may want to skip this one. This is also a 3d experience. It’s been great for us everytime and my son has extremely enjoyed it. 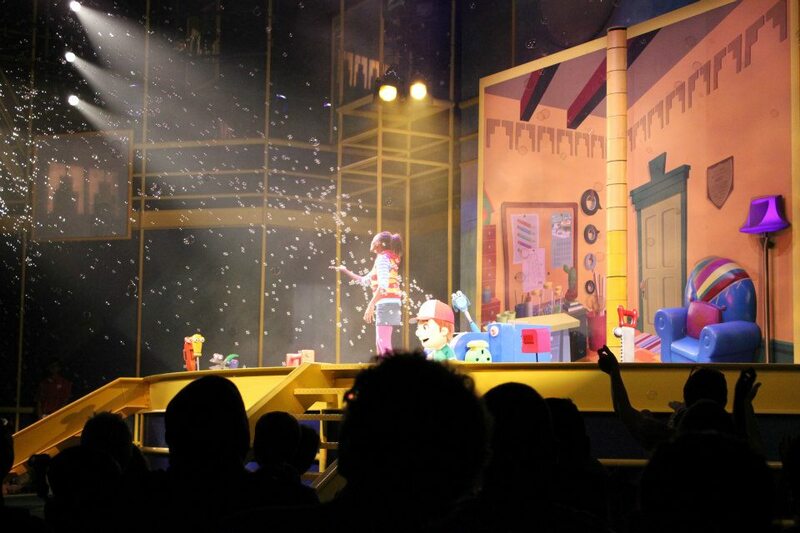 Finding Nemo The Musical is another great stage show with great music for the whole family to enjoy. If your limited on time, this is a park to hit first thing in the morning. Since it normally closes earlier than the other two parks, it’s a great park to visit in the morning and move onto another park in the afternoon. Helps maximize those park hopper tickets! If your staying on property, one of my son’s favorite activities is to go to the pool. While your at Disney, it’s easy to get caught up in the parks and trying to see and do as much as possible. It’s a vacation! 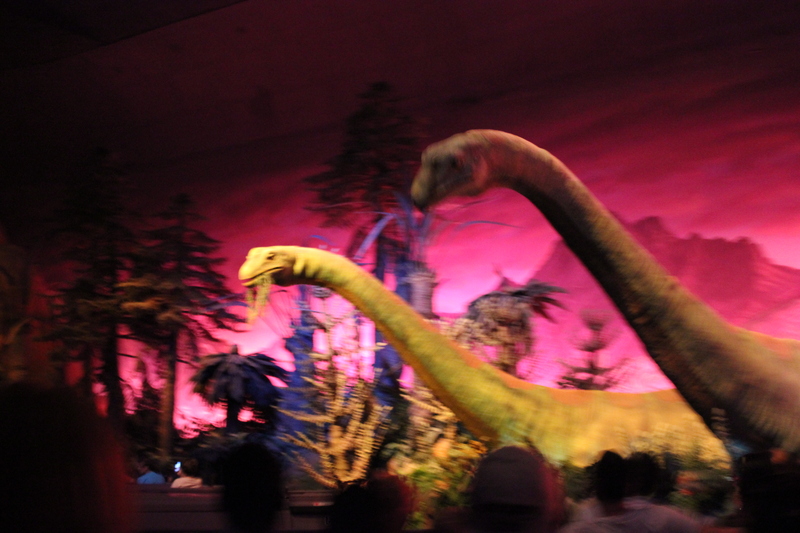 Enjoy it and schedule some down time for the family outside the parks too! Keeps everyone relaxed and ready to take on the next day!